Another great event – can you believe I get paid to do this?! 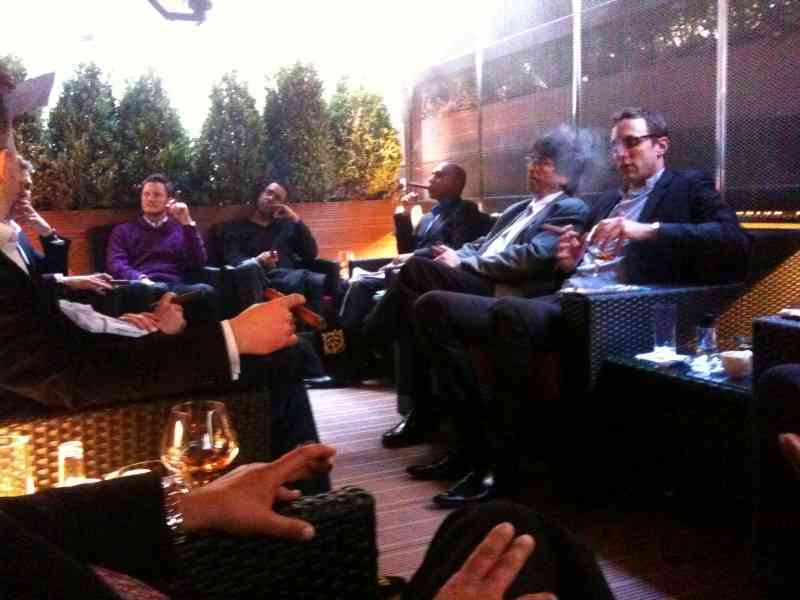 On the 20th of April, 2010, a group of Cigar and Cognac aficionados gathered at 10 Manchester Street, a gem of a boutique hotel, to learn about, and enjoy, cognac and cigars. The speakers for the day, Jimmy McGhee from Hunters & Frankau cigars, and yours truly! For today I would be speaking about a cracking cognac, Pierre Ferrand’s Selection Des Anges. This cognac is a blend of grand champagne eaux du vies, with an average age of some 30 years. Typically, for Pierre Ferrand, they do not feel the need to slap ‘XO’ all over the label. The delimitation itself only guaranteeing a minimum age of 6 years, it only really serves to impress rappers and fashionistas in New York. The connoisseurs, however, know better what to look for. This 100% grand champagne cognac is a deep mahogany colour, with a nose of jasmine, honeysuckle and walnut. On the palette it is rich with candied fruit, ginger, honey, and nutmeg. Rancio flavours are abound, which made this cognac ideal for the cigar matching – the purpose of the evening. I’m pleased to say my choice of cognac went down very well, and the assembled group seemed to thoroughly enjoy themselves. My thanks to 10 Manchester Street for the invitation to speak on the evening, and I’m pleased to accept their invitation to return.